Gmail Offline Is Back: Should You Care? Happy day! The long wait is over and Google has finally delivered a way for you to sync and access your Gmail offline--with Google Calendar and Google Docs to follow soon. Users who rely solely on Web-based tools are at a disadvantage when there is no Internet connection available. Of course, most Gmail users don't have to rely on the Web to get email. If you are an avid or long term Gmail user you may remember that once upon a time Google had an offline solution for the Web-based email service. That solution was Google Gears, but Google pulled the plug on Gears in early 2010 to focus on an HTML5 solution instead. I don't think anyone expected it would take 18 months for the new offline tool to emerge, but now it is here. 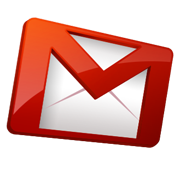 There are already plenty of ways to get offline access to Gmail. Are you excited? Have you been anxiously anticipating this day? You shouldn't have. I'm not saying that having access to Gmail (or Google Docs or Google Calendar) when there is no Internet connection available isn't a great things, but--unless you are using a Chromebook--you already have options for working with Google services offline. To be honest, I barely noticed that Google killed Google Gears. Granted, my Gmail account is not my primary email, and I am not a dedicated Gmail user--but, even if I were I would have set up some sort of client software for offline access. My Gmail is set up as an account within Microsoft Outlook and my email is downloaded and stored in my Inbox like all the rest of my email. I realize that many Gmail users may not have Outlook, but there are other email applications like Mozilla's Thunderbird that can accomplish the same thing. When it comes to email on the go, I have my iPhone 4 and my iPad 2. iOS offers Gmail as one of the options when setting up an email account. Google takes it a step farther, though, with instructions for setting up Gmail as an Exchange account. Using Exchange Active Sync enables my iPhone and iPad to sync not only my Gmail, but my Calendar and Contacts as well. Unless you are part of the 15 percent that uses the Chrome browser, the new solution won't work for you anyway. Chrome is not my preferred browser, so I think I'll just stick to getting my offline Gmail in Outlook...and on my iPhone...and on my iPad--just like I have been doing since before Google killed Gears. As for Docs, the new tool is still Chrome-centric and only allows for viewing Documents and Spreadsheets. You can't actually create or edit files, so the functionality is very limited. There are already tools and services like Syncplicity, or SyncDocs that do the same thing, but with more features and flexibility. But, if you are using a Chromebook, or Chrome is your browser of choice, I guess there is at least some reason to care about the new Google tool.